The original 1985 BMW M5 stunned the industry when it managed to set a 0-60 time of just 6.5 seconds, effectively matching the Ferrari 308 GTB. 30 years later, the current BMW M5 is still one of the fastest executive sedans that money can buy. 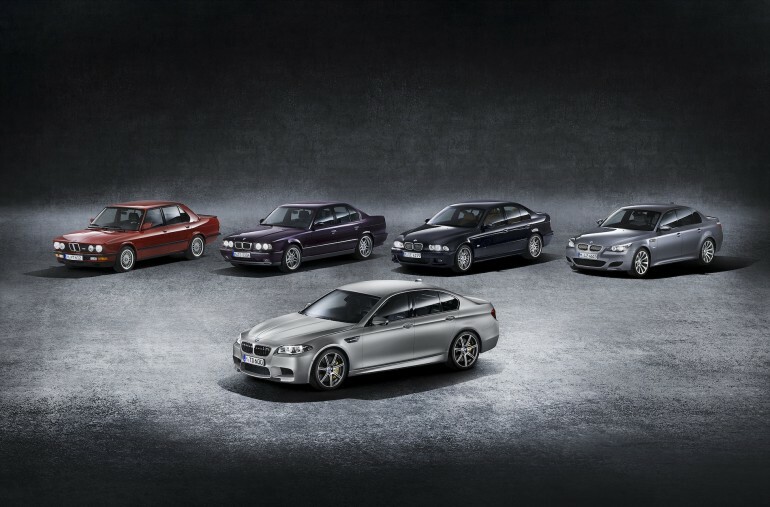 To celebrate its storied success, the Bavarian automaker has proudly introduced the 2015 BMW M5 30th Anniversary Edition. According to Bimmerfest, BMW will offer a limited run of only 300 examples of the BMW M5 30th Anniversary worldwide, only 30 of which will make it to the U.S. market. 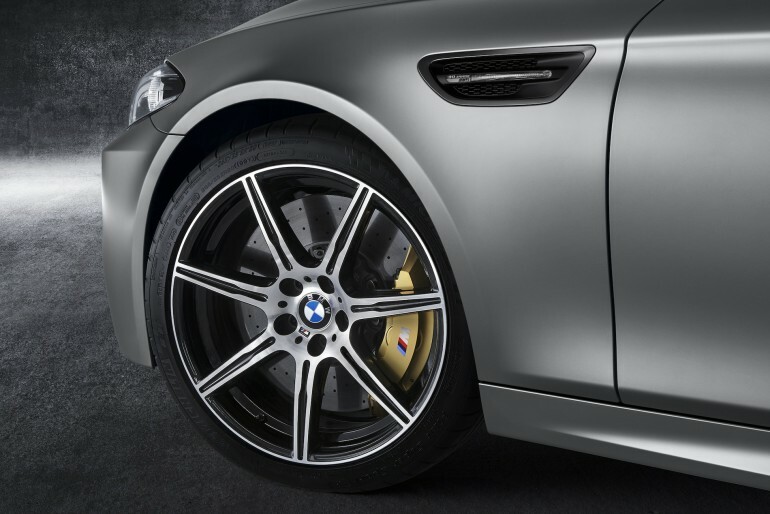 The special M5 30th Anniversary will be available in a sinister Frozen Dark Silver Metallic paint and will feature dark chrome accents and aggressive 20-inch alloy wheels to complete the look. 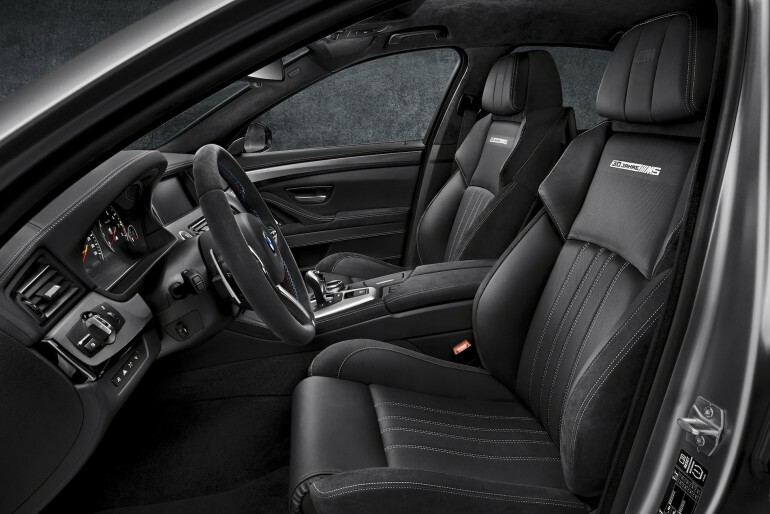 Inside, the BMW M5 30th Anniversary Edition will feature sporty Alcantara seats and Alcantara wrapped steering wheel as well as a Merino leather dash with gauges, switches, and trim finished in dark aluminum. However, you would be wrong if you thought the BMW M5 30th Anniversary is merely a stylistic upgrade-- the special edition sedan will come standard with the Competition package, which includes a sport suspension, Active M Differential for improved traction, and an M Dynamic mode that improves throttle response and more. However, the party piece in the performance department is undoubtedly the uprated twin turbo 4.4 liter V8 engine. 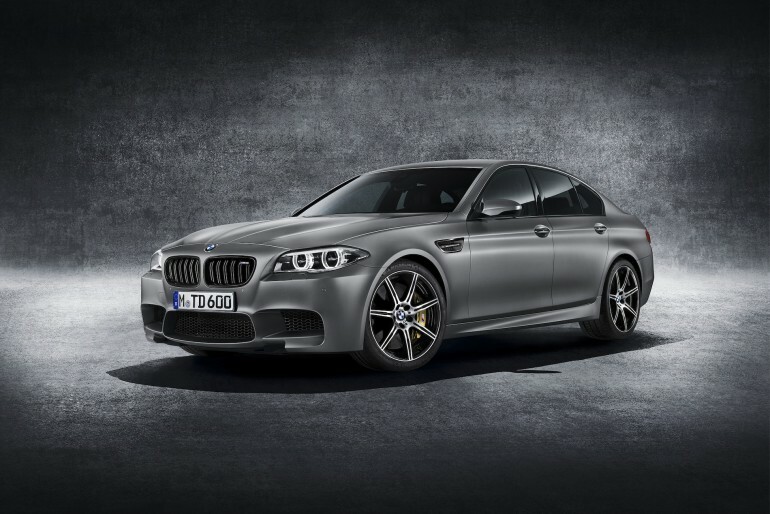 The BMW M5 30th Anniversary produces a staggering 600 horsepower, 40 over a standard M5. In fact, the numbers suggest that the BMW M5 30th Anniversary should be able to accelerate from 0-60 mph in as little as 3.5 seconds! 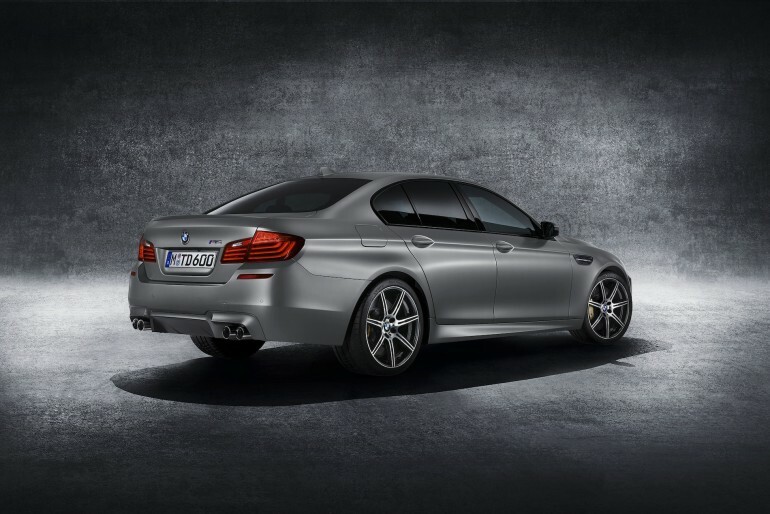 The special BMW M5 30th Anniversary Edition is almost a bargain at $138,275, including shipping and handling. However, with only 30 examples available in the United States, most of us will not be able to get one even if we have the money ready. According to Bimmerfest, the first 29 North American customers can reserve the BMW M5 30th Anniversary by simply calling the dedicated BMW Customer Relations hotline beginning Wednesday, May 21, 2014 at 1:00 EDT (10:00 PDT). The dedicated phone number will be revealed via the BMWUSA Instagram on Saturday, May 17. The first 29 customers to successfully dial the number will get a spot on the list. Finally, the 30th copy will be retained by BMW of North America, LLC, to be sold at a later date.